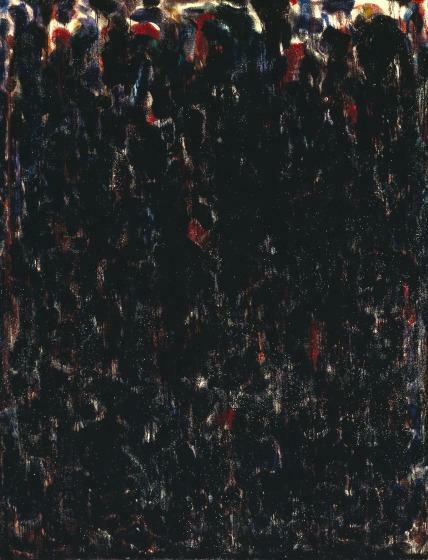 Although Sam Francis is known primarily as a colorist, and he searched the world for rare pigments to use in his vivid compositions, this work is from a series of works he executed in black. 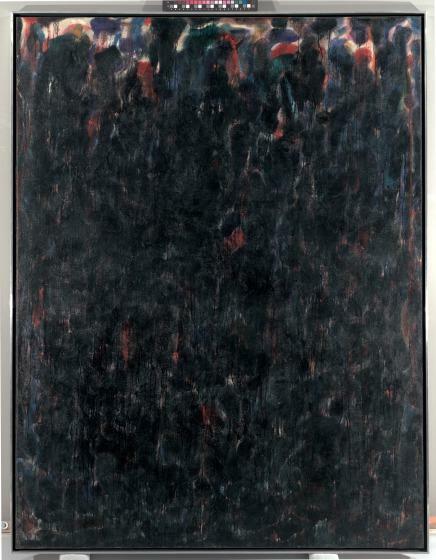 Untitled (Black Clouds) is subtly permeated with colors, as black periodically gives way to bubbling purple, blue green, yellow, and even white, suggesting forces of nature obscured or perhaps coming to the fore. 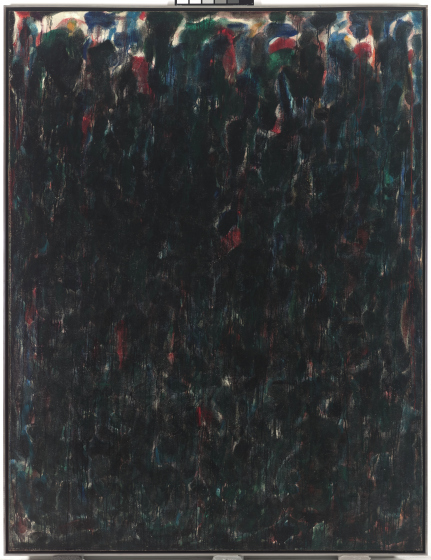 When Sam Francis began his artistic career, he bypassed New York City, the hub of the modern art world, for Paris, where he painted for the following decade. Francis quickly merged his American-formed style of abstraction with elements of early 20th-century French art, in particular a sensuous feel for color. 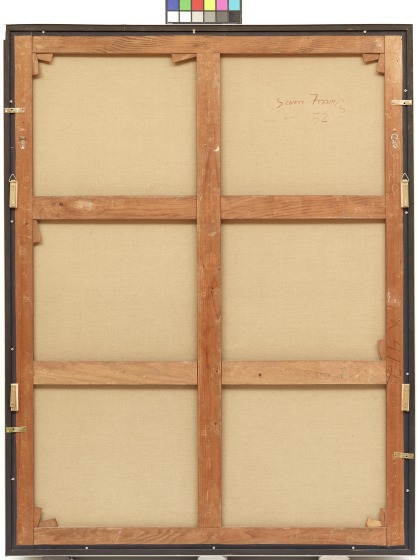 In the early Paris canvases, such as this untitled work, a screen of monochromatic pattern covers the surface, veiling the underlying color. Only occasional openings afford glimpses of red, blue, and yellow. Francis's confident layering of paint reveals his superb compositional balance and exquisite color sense. 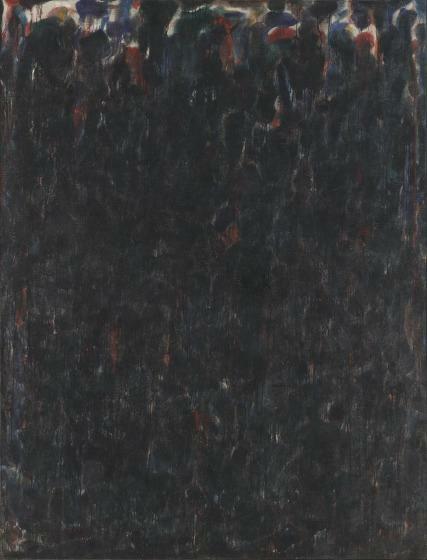 Bonnie Pitman, ed., "Untitled (Black Clouds) (1985.98)," in Dallas Museum of Art: A Guide to the Collection (New Haven, CT: Yale University Press, 2012), 292. 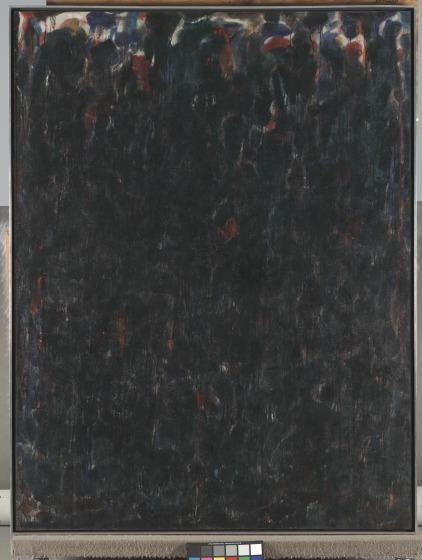 Charles Wylie, Fast Forward: Contemporary Collections for the Dallas Museum of Art, 2006. 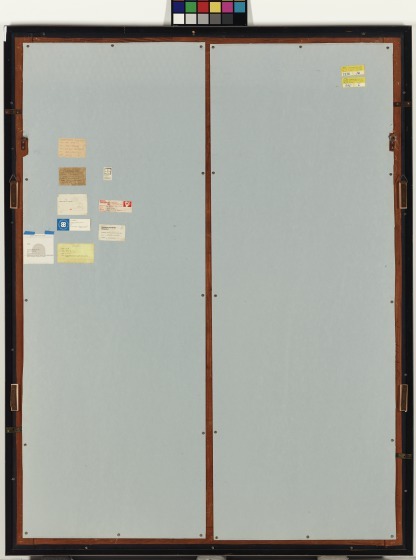 Charles Wylie, Re-Seeing the Contemporary: Selected from the Collection, October 2010. 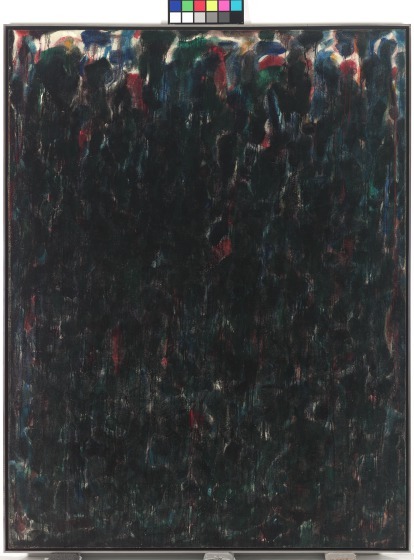 Read more about Sam Francis, and explore other works.